In our series of “A Day in the Life” profiles, we ask studio owners and instructors to share their day-to-day experience to give readers around the world a peek into what it’s really like managing or teaching at a studio. 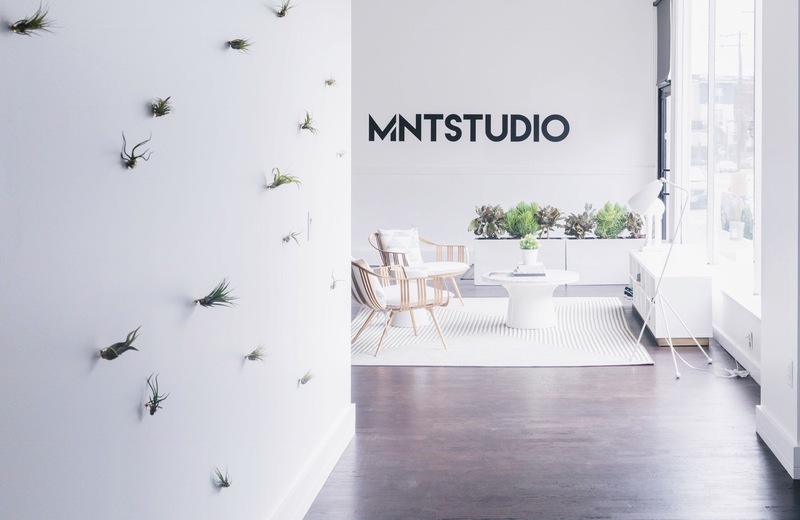 We chatted with Elaine Hayes, founder and owner of MNTSTUDIO in San Francisco, CA. Born in the Bay Area, Hayes grew up off of the coast of Brazil and then London, England before returning to the Bay Area as a teenager. Through dance, she discovered Pilates at the age of 16 and, after career stints in finance and law, became a Pilates instructor, teaching classes out of her own SoMa loft in 2010. High-demand eventually pushed her to open Mint Studios in 2013. The business grew to house her signature MNT method: Pilates and barre classes based on an evolution of classical techniques. After evolving to become MNTSTUDIO in April of this year and tripling in size (from 2,000 square feet to 6,000 square feet), the studio has added a children’s area with dedicated care staff, three new studio spaces (now four total), and an on-staff nutritionist to help clients weave healthy living into everyday life. 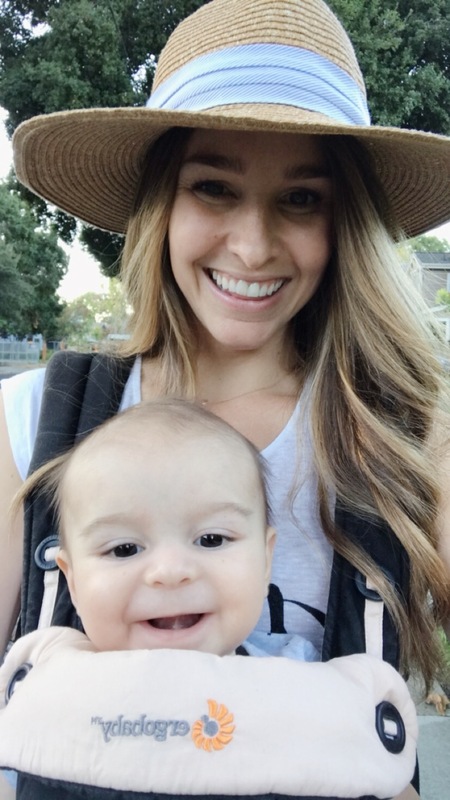 Now, Elaine shares what her day-to-day looks like as a busy studio owner and mama to a newborn! I get up every day at 6:30am in order to meditate, set my intentions for the day, and drink a big glass of water (20 oz). By 6:45am, my six-month old son, Leo, usually wakes up. That means it’s cuddle time—my fave! By this time, I am showered, dressed, and ready for the day. I always make sure to have a big breakfast, which is usually a nutritious smoothie with plenty of protein, healthy fats, and fiber. 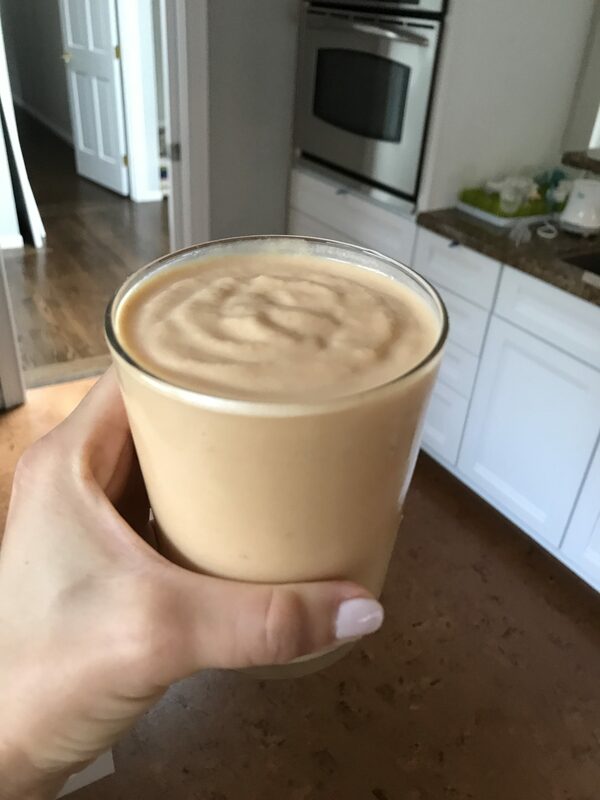 Today, I made this sweet potato smoothie—don’t knock it til you try it! On the days we have her, our nanny arrives at 8:30am. I try to leave as soon as she gets to our house, since I have to commute from Menlo Park (the suburbs) to San Francisco. When I arrive at MNT, I usually go straight up to my office after catching up with all my staff and clients I run into. First on my list is to catch up on any emails I may have missed since the night before. We’re always planning events and fun challenges for our community, so my inbox is in overdrive pretty much all the time. I’m often interviewed for various lifestyle and fitness pieces, and today we had a photoshoot for an article in PopSugar describing bodyweight abs exercises. Plus, no matter how busy I am, I always try to set aside time to break a sweat once a day. Today I took a Power Reformer Class at MNT. Time for lunch! Carlie (MNT’s Director of Studio Operations) and I opted for our latest obsession: Vietnamese spring rolls from local fave Dinosaurs. We take a working lunch at my desk while we review the agenda for the coming weeks, look at our calendar of upcoming events, address some pending items, and discuss our new retail line. Our biggest project this day is to finalize all the details of our upcoming #MNT10 Challenge, which starts November 6th. The challenge is to take 10 MNT classes in 14 days, right before Thanksgiving. We do a challenge every year around this time to help our community stay on track with their health goals, which can sometimes be challenging around the holidays! I usually try to leave by 2pm so I can beat traffic and get home to Leo before his last nap of the day. Our nanny usually leaves at 3pm, so from 3pm until bedtime, it’s Mommy and Leo time! Today we played on his mat and practiced rolling over, went out for a fun walk around the neighborhood in the baby carrier, and tried pureed raspberries for the first time. Leo goes to bed at 6:45pm. Once he’s down, it’s time for me to catch up on any emails I may have missed since the afternoon, and follow up on any pending items. I’ve been known to send emails out at all hours of the night—a bad habit I’m working on! I usually will also prep dinner during this time, so it’s pretty much ready to go by the time my husband, Mike, gets home. He and I will usually eat dinner around 7:30 – 8pm. This is when we finally get a chance to sit down and catch up on our day. We always make a point of eating dinner together at the table. No phones, TV, or computers allowed! I love being able to reconnect like this every evening, and it helps me unwind, no matter how crazy my day has been. I try to go to bed by 10pm every evening. I’m one of those people that has a long bedtime routine (skincare, vitamins, hand lotions, sleepy time tea, reading…the list goes on! ), so I usually start prepping for bed at around 9:15pm. Although it may seem like a lot of work to do all my little routines before bed, this helps me to unwind, relax, and feel prepared for the following day. Should You Add Another Workout Genre to Your Studio?